Wow! What an amazing year 2014 has been. Here at Deploy360 we’ve been extremely busy! Whether it was organizing meetings, hosting meetings, creating content, curating content, public speaking, researching, meeting new people, making plans with old friends, or traveling between all of these things (so many planes), we’ve barely had time to catch our breath this year! signed our first ION sponsor, and not just any sponsor – a three year commitment from Afilias is what made it possible for us to host 4 IONs this year – thanks! We also saw IPv6 traffic (as measured by Google) exceed 5%, DNSSEC signed TLDs hit 614/788, and a massive increase in awareness of the need for TLS and anti-spoofing, as well as for properly securing BGP. With all that great news, and while I hope everyone is getting a bit of much needed rest during the holiday season, this is still no time to start feeling too satisfied with ourselves. If we thought 2014 was busy, I think we’ll be further surprised by what we can get done together in 2015! Of course, just as for the past three years, Deploy360 will only be as successful as our community is strong – we need your help. Deploy360 remains the flagship project of our humble team here at ISOC. With your support we will continue to build the best repository of deployment and operationalization material on IPv6, DNSSEC, Securing BGP, TLS, and Anti-Spoofing – as well as any new topics that present themselves. Our goal is two-fold in 2015; to build out our resources by fulfilling our content roadmaps, and to translate the most useful and often referenced resources into as many languages as is practical. Both of these things are in progress. We already have work underway to translate a large portion of our website, including many of our resources, into the five UN languages. Over the next few weeks and months, you will see these translations published here on the Deploy360 website. This is not the end however, but just a beginning. We’ll continue to identify top resources and new languages to continue our translation efforts through 2015 and beyond. We look forward to your input and feedback. Both on which resources to translate and what languages to translate them into. At this time we don’t have any plans for new Deploy360 topics. This means that we will be fully focused on the existing topics and on adding to this site the most helpful resources for deploying those technologies. This is the number one area that you, as an individual, can help out. We need Subject Matter Experts (SMEs) and folks who have deployed IPv6, DNSSEC, secure BGP, TLS, and anti-spoofing in their networks and their applications to document their experiences and to share them with those who still need to deploy these key technologies. I ask all of you to give us a few hours, or a couple days, of your 2015 to write case-studies, lessons-learned, tips-n-tricks, pit-falls, and everything else you’ve learned; share them here on the Deploy360 website and/or present them at an ION conference. This is one of the most direct ways that you can contribute to the future evolution of the Internet, and we’d love to share your story! We also always need additional sponsors, particularly for the ION conference series – if you want to explore opportunities, let us know! While the Best Current Operational Practice (BCOP) groups that have sprung up around the world are fully independent and none are owned in any way by the Internet Society (in fact, the idea is much older than Deploy360), we are committed to continuing our support. We remain dedicated to facilitating the creation of additional BCOP groups wherever they make sense, to helping the existing groups grow and expand, and to finding a proper home for the now evidently needed global repository of BCOPs. This is another area where our team at ISOC cannot possibly create success alone. These must, by definition, be community efforts. The Deploy360 team will continue to help organize, promote, and facilitate BCOP groups around the world. However, without the participation and support of the Global Network Engineering Community (GNEC), these groups will never flourish. Here again, I invite you to help make a difference in our industry, and in our world, by contributing a portion of your time in 2015. You can shepherd a document with little to no subject matter expertise. If you are a SME on virtually any network engineering topic, you can contribute as an author and/or editor of a new or existing BCOP document. There are also opportunities for leadership within the various groups, task forces, and committees that have sprung up all over the world – including a new one you might create! I’m extremely proud of the course our new-in-2014 Operators and the IETF project has taken. It’s a very honest pride because this is yet another project that is successful only because of your participation. We are merely facilitators. The effort’s entire direction has been set by a survey and a multitude of interviews, formal and informal, with network operators from around the world. The best part about this work, for me, is that it has transcended its original purpose. While we remain dedicated to helping network operators of all types contribute to, and benefit from, the IETF; it has become obvious that the problems (perceived or otherwise) we have uncovered are much more universal. It’s my hope that our (the deploy360 team along with you and the rest of our amazing community) efforts will not only benefit network operators but all newcomers to the IETF. This includes of course the new generation of network savvy developers, to name just one additional group. You can jump in and help in a number of ways. To get involved, or just learn more, join the ‘synergy‘ mailing list and/or contact us directly. While DNSSEC is one of our Deploy360 topics, we’ve also taken on support of the protocol above and beyond the typical Deploy360 topic. This will not slow down in 2015. In fact, it’s accelerating in some ways. We’ll continue to support the DNSSEC Deployment Workshops and related events. We’ll continue to publish the weekly DNSSEC deployment maps. We’ll continue our support of http://www.dnssec-deployment.org/. New this year, we will also be funding work to accelerate the deployment of the DANE protocol – and through that DNSSEC. Watch our blog for more developments in this area as they happen, as well as more ways to get involved (we always need sponsors for our work). As I hope is clear, 2015 is set up to be another banner year for Deploy360 and all of our supporting programmes and projects. We (the Deploy360 team and you, the Deploy360 community) drove into the future in 2014. With your continued commitment we will maintain that trajectory, onwards and upwards – into the foreseeable future and beyond! Thank you all! 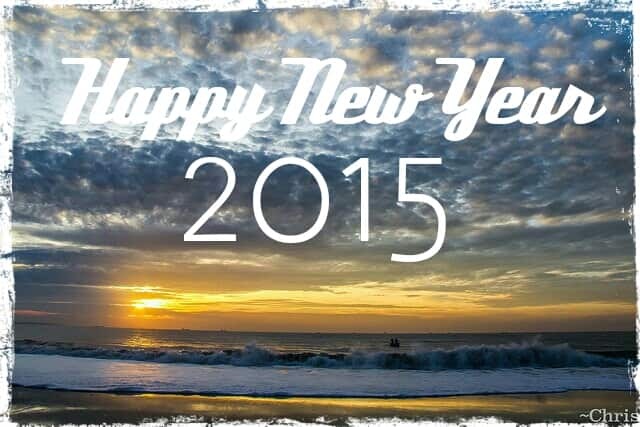 For everything we’ve accomplished together so far, and for everything we’ll get to do in 2015! This post appeared originally on the Deploy360 blog.